This giveaway is now OVER. Congrats Michelle H.! 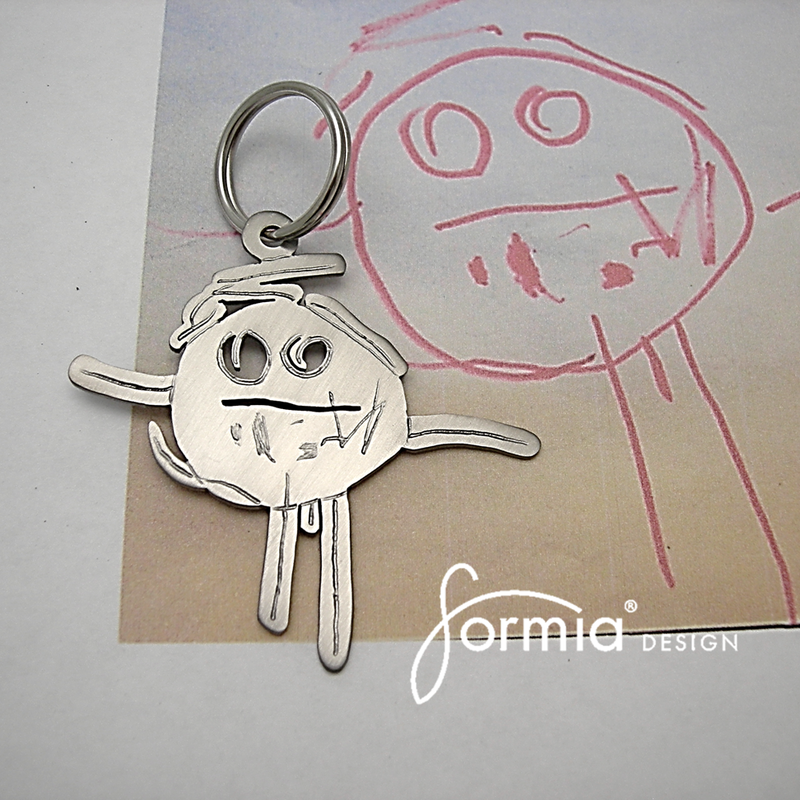 You have won a custom made pendant or keychain from Formia Design. The winner has been emailed. Thanks to everyone else who entered this great giveaway! I get drawings from Adrienne on the regular. From mermaids with little circles for their tops, to little alien men on purple planet, each one never ceases to amaze me. I might be totally biased, but my kid is a legit artist. So, a few weeks ago, Adrienne proudly hands me a new drawing. 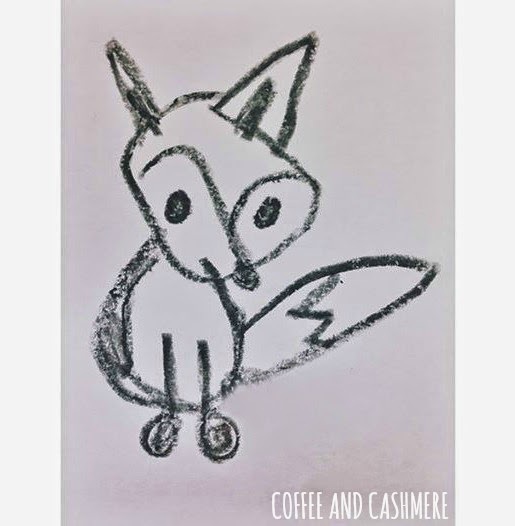 When I looked at the white sheet of paper and saw a tiny, perfectly drawn fox, I literally freaked my freak. I mean. FOUR YEARS OLD. A few days after Adrienne drew one of my most prized fox possessions, an amazing company contacted me. 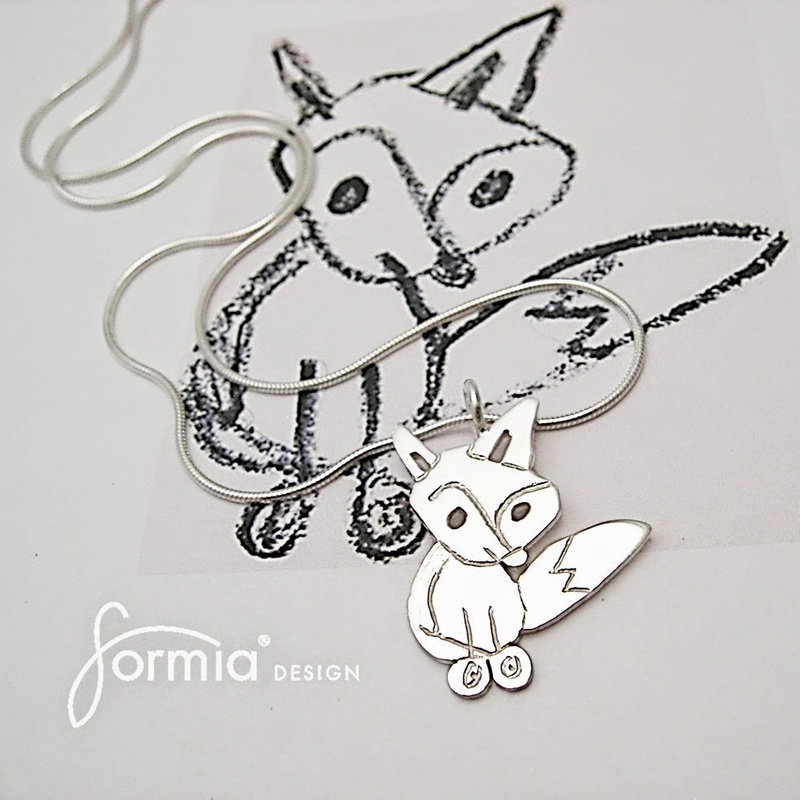 Formia Design, who takes children's drawings and turns them into wearable art, asked if I would like to team up with them. I was like, YES. I totally knew this fox was meant to be worn. All I had to do was email them a photo of Adrienne's fox. A few days later, I received the most incredible charm. 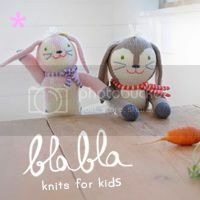 Here are a few other ideas that would make great keepsakes! And now you can win your own sterling silver pendant or a titanium key-chain (perfect for Father's Day)! For your chance to win, just log into the Rafflecopter below (or make a new Rafflecopter account), and follow the directions for each entry. Please make sure to actually do what's required for each entry. If you just click enter and not do what it's asking, I'll know. If you are unsure how to do one, skip it and contact me. I can't stress this enough. I go back and check to make sure the winner actually did what was required. I will not let cheaters win. DON'T CHEAT. Meh. This giveaway will end Friday, June 13th, 2014. 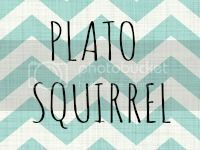 One winner will be picked at random via Rafflecopter. 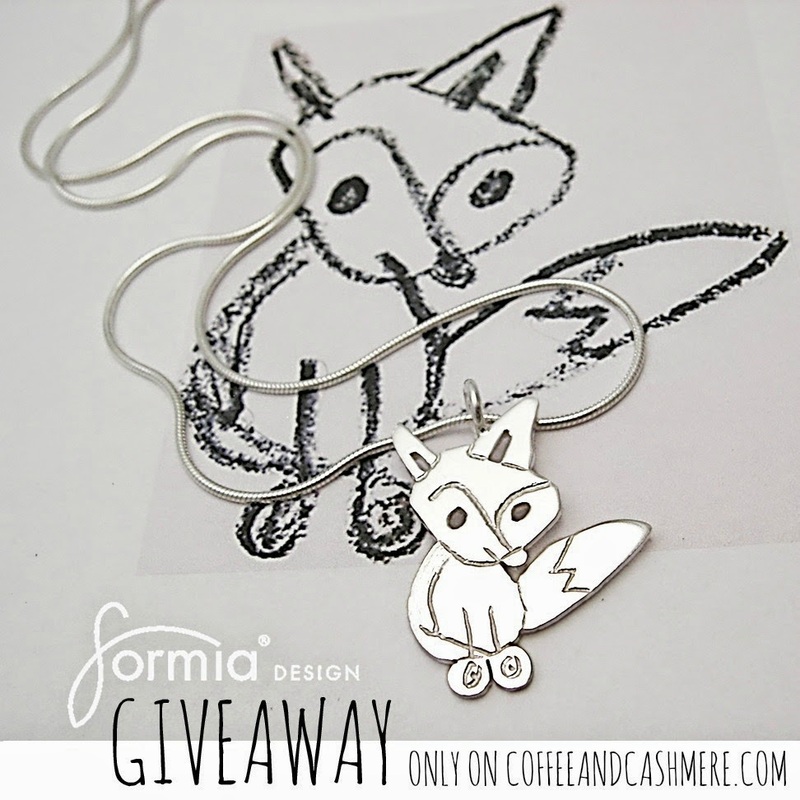 The winner will receive their choice of either a sterling silver pendant or a titanium key-chain ($89 - $139 value) from Formia Design. 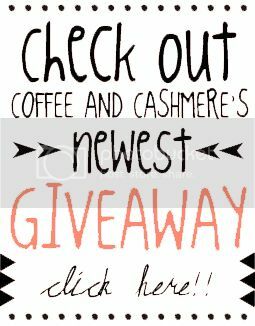 The winner will be announced on coffeeandcashmere.com and will also be notified via email. The winner will have ONE week to respond to the email to claim their prize. If a winner never responds, a second winner will be picked at random. 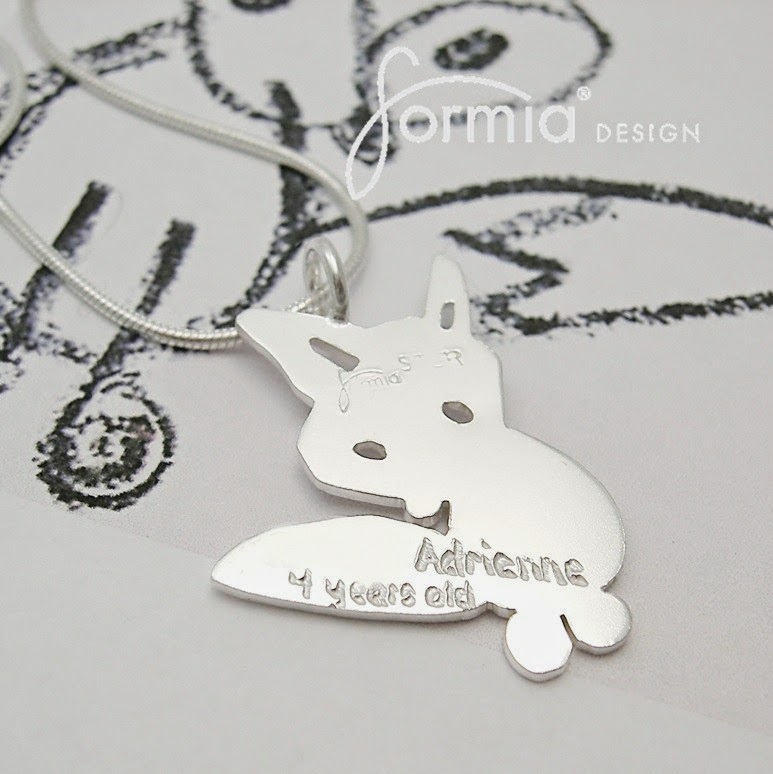 A huge thank you to Formia Design for teaming up with me to offer one lucky person such a gorgeous keepsake. Ohandplusalso, since Father's Day is right around the corner, Formia Design just debuted a new item; a sterling silver bottle opener! How cool is that thing? Be sure to also like Formia Design on Facebook! Congrats to Jill K. for winning my last great giveaway. This is seriously the sweetest thing, ever!! I want one!!! Love the bookmark 'slip on page' & zipper pull. Insanely cute! I've been a fan of Formia for a long time! I'd love a pendant made from one of my daughter's drawings. 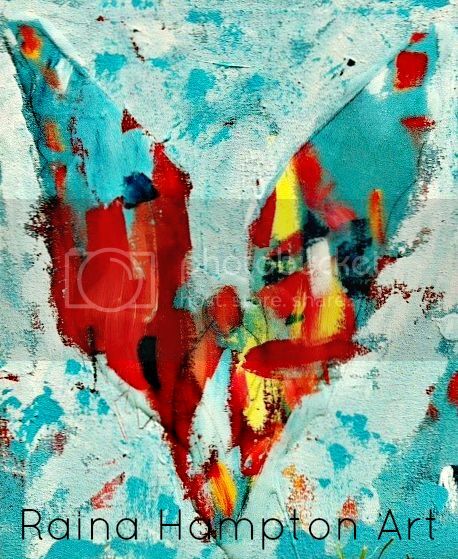 I would love to wear a pendant with my child's artwork! I'd love a necklace of one of my children's drawings. I love formia! 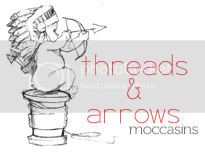 Their products are such great keepsakes!! Oh and I really want a pendant for myself! Oh, and I'd have to say my favorite thing (so far!) 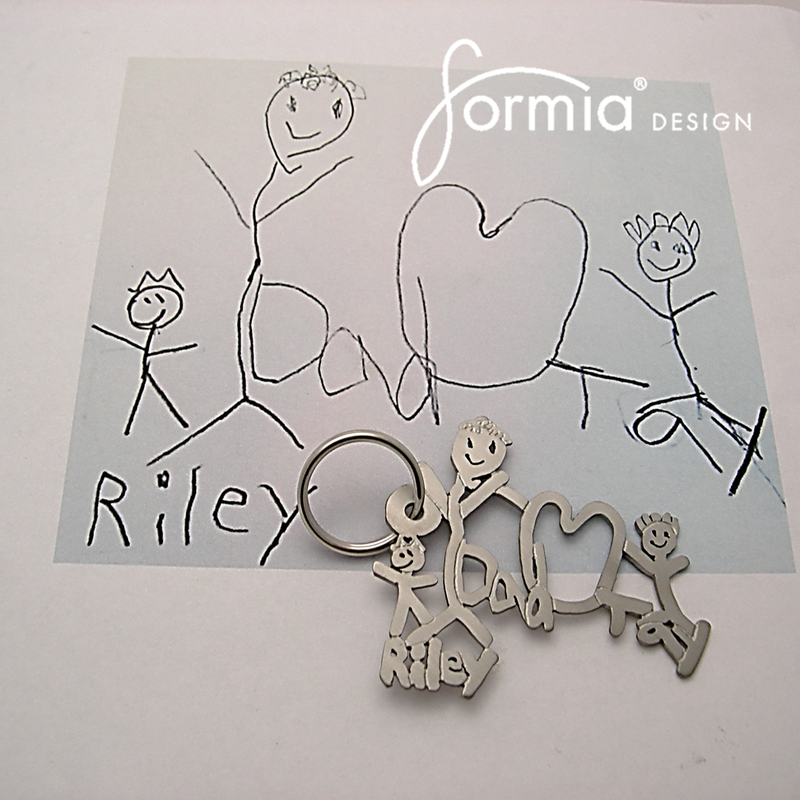 created by Formia Designs is my one of a kind, so special to me engagement ring (smile!)... But I would love one of her wearable art neckkaces! I love the owl pendant. 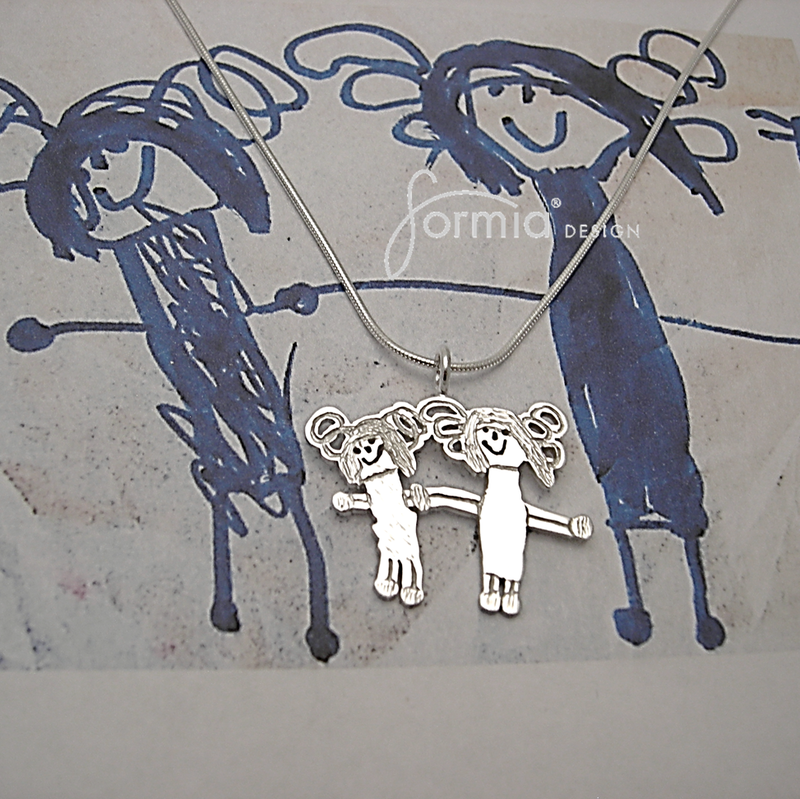 I absolutely LOVE the artwork pendants made from kids artwork. my four year old has the funniest drawings that i would love to show off to everyone! I love the silver stud earrings.